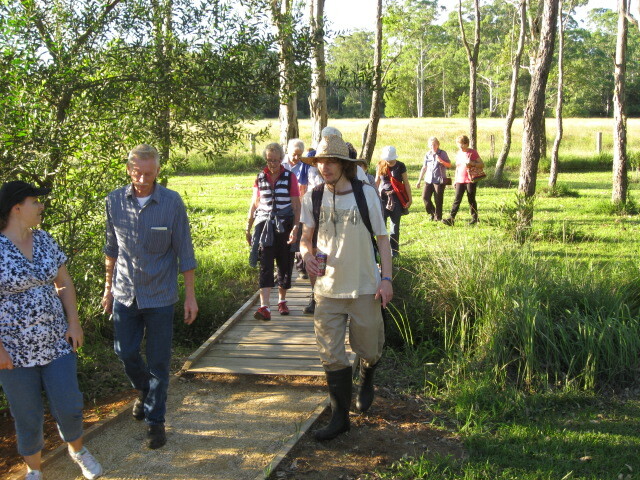 The Cooranbong Sustainable Neighbourhood Group, BETTER Cooranbong, wanted to bring the community together to showcase local heritage and the work of the local Landcare group, and attract new Landcare volunteers. 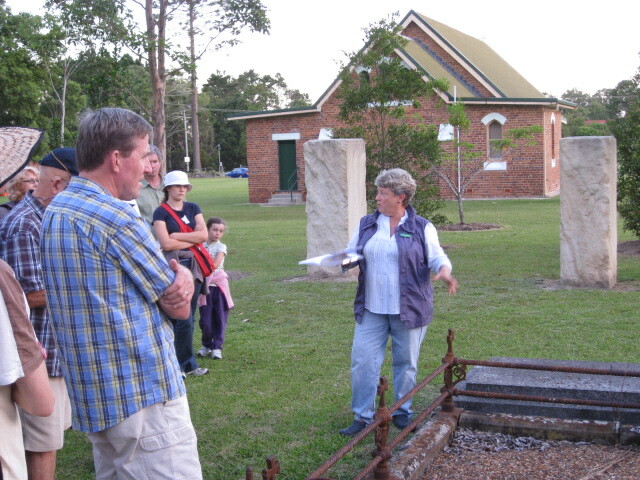 BETTER Cooranbong members, along with the Cooranbong Park Landcare group, and members of the historic St Patrick’s and St Brigid’s Church and Cemetery organised a tour of these two significant local sites. Local printers, Cooranbong Printing, assisted with design and printing of posters, and the Lake Macquarie Sustainable Neighbourhood Alliance promoted the opportunity amongst local networks. Thirty people attended including children, families, retirees and visitors from the Westlakes area. 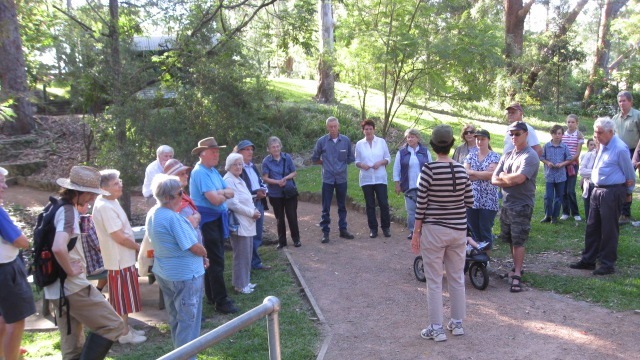 The local Landcare group highlighted their work in Cooranbong Park, including the Priests’ Horse Paddock Walkway completed recently through cooperation of volunteers from Cooranbong Park Landcare and the Catholic Parish. Four new volunteers were inspired to sign up. 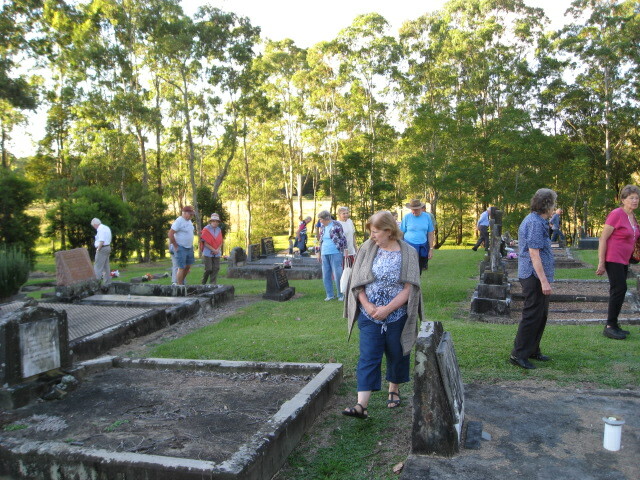 The group were then treated to a tour of St Patrick’s and St Brigid’s church and cemetery – one of the oldest churches in Lake Macquarie. Frances Dunn gave a very informative talk as we toured the historic cemetery, which features gravestones from as early as 1861. The timber industry made Cooranbong the economic centre of Lake Macquarie at this time. Turpentine and Red Cedar were harvested from the Watagans and transported by bullock carts to be assembled at Cooranbong Park. From there it was loaded onto boats on Dora Creek and transported across Lake Macquarie to reach Sydney by sea. Many of the Sydney wharves were built using Watagan timber and many a fine building in Sydney is lined with Red Cedar from the rainforests of the Watagan Mountains. The ‘Walk in the Park’ exceeded expectations and was a very successful community event. Participants enjoyed learning about their local history and Landcare achievements, and were enthusiastic to become BETTER Cooranbong members and assist with Landcare work.